If you've tried this... you know how easy it is. 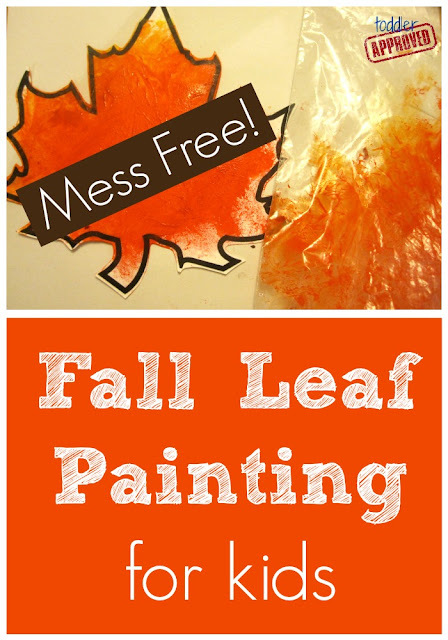 I saw this No Mess Fall leaf painting project over at Moments of Mommyhood and decided to try it with baggies instead of wax paper. It was fabulous and simple... and not messy at all! 2. Stick it in a baggie. 3. Add some paint... and a drop of water or two if you want to make the paint move around better. 5. Use both hands to squish the paint and move it around (I only had one hand free for this picture... ). Try and cover the whole leaf! 6. Pull the leaf out and let it dry. 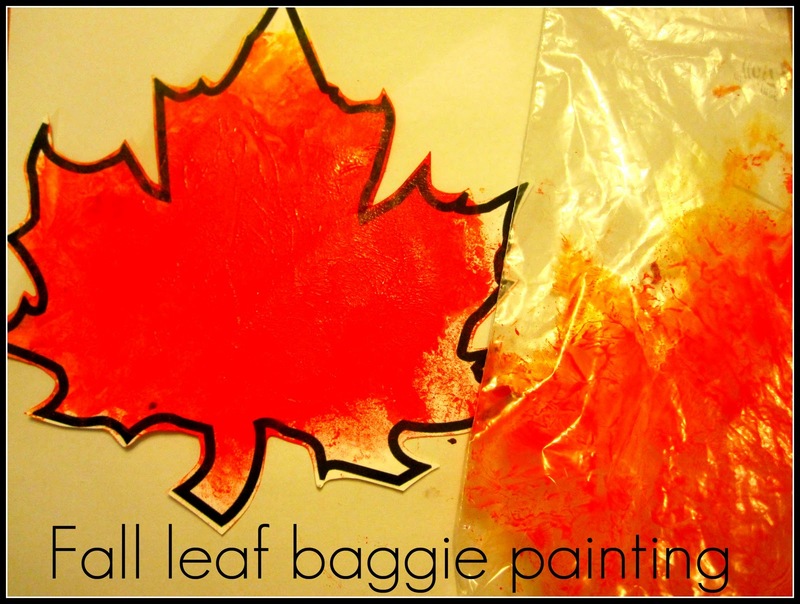 Wouldn't it be fun to make a bunch of these baggie painted leaves using different types of leaf templates and then create a Fall leaf garland like this one found on Ohdeedoh? What else could you make with these painted leaves? Love this leaf painting idea. Gonna add this activity to my fall leaf theme week. That's brilliant, mess free idea to paint fall leaves! I'm always looking for simple crafts that have minimum clean up time....this fits the bill! Thanks for sharing! Great idea. Always looking for simple and less messy craft ideas. Thanks. Pinned it! Cute! And such a great way to eliminate mess! Definitely a fun and non messy way to paint! They turned out super cute! Thank you for linking up to The Sunday Showcase! I really thought that I had commented earlier. I love this idea and I included it in my fall bucket list. I linked back to you, of course. Thank you so much for sharing such a wonderful idea! Thanks @Robyn! Some ideas... hearts for Valentine's day, colorful snowmen, we made handprint turkeys the other day, Christmas trees... possibilities are endless! Fabulous idea! You could possibly make several different types of leaves then make a wreath out of them. Maybe use a paper plate, cut out the center. Then layer the leaves around the circle and top with a ribbon. TFS! So very cool. It looks like a great sensory/tractile activity as well as clean. How creative! I will have to try this with my younger kids.